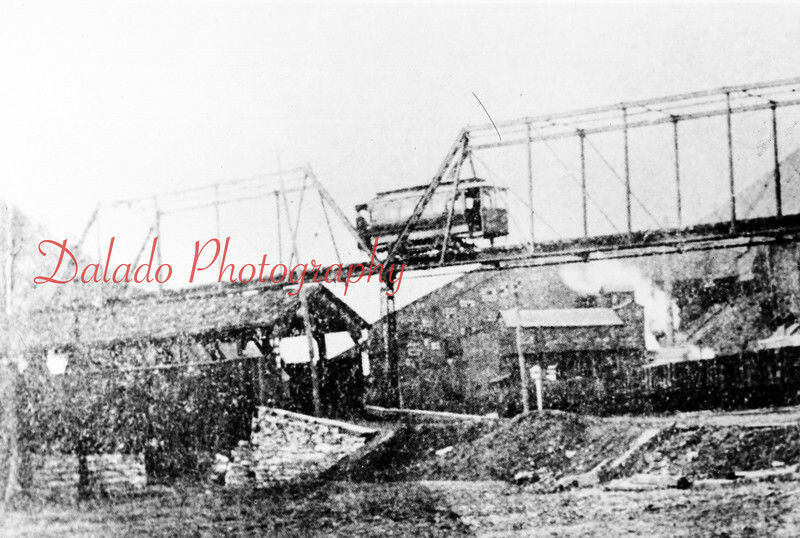 *Low Res* Cameron Bridge- This is a small reproduction photo of what I can assume was a print from a glass negative. It shows just the covered bridge and the trolley bridge. The Cameron Colliery is pictured in the background.